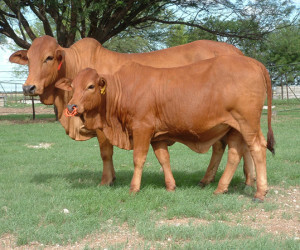 All cattle farmers are familiar with the stress associated with weaning calves from their dams. Broken fences and bawling cattle are well known symptoms of a process that also leads to a loss of condition and weight in both calves and cows. This stressful process has led to a sound solution devised by Whole Concepts. 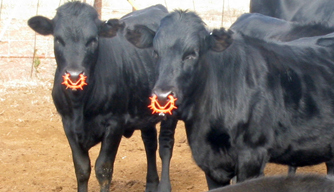 In 1997 they designed a removable, spiky plastic NoseRing® that fits in to the nose of the calf to be weaned. As the calf tries to suckle, the spikes irritate the soft under parts of the cow and she moves away. This discourages the calf from suckling, but the cow is still there, her comforting presence reducing the weaning stress on both the calf and the cow. 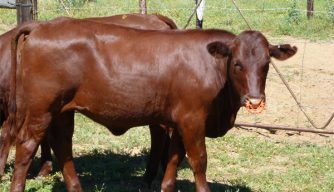 These EasyWean® NoseRings® have been tested extensively since 1997 and they have been found to offer an enormous management advantage to beef producers who use them. No broken fences, no bawling cattle, easier grazing planning, simplified herd management and an average 95 percent effective weaning are some of the advantages. In addition, they have also proven to provide a significant production advantage and greater profitability through eliminating stress caused by separation. Cows put on condition and calves continue to grow during weaning. EasyWean® NoseRings® provide a humane and effective weaning method – wean with ease, no stress, next to the mother. Online ordering & secure payment here! Whole Concepts cc accepts no responsibility for any loss or damages, of any nature whatsoever, whether incidental or consequential, incurred by the purchase and use of the NoseRing® product. E&OE.